When the Union and the Employer within the workplace come together to support and promote joint learning, they demonstrate their shared commitment to creating positive work environments. 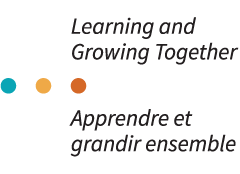 If your request for a workshop is accepted, the Joint Learning Program (JLP) will provide, at no cost to you, a trained facilitation team and the learning materials needed to hold the workshop. In addition, the JLP will often cover expenses such as refreshments and workshop room rental (if no appropriate room is available in the workplace).